To hunt this cache you will need to pay a $5 day use fee to the park or have an annual NW Forest Pass. 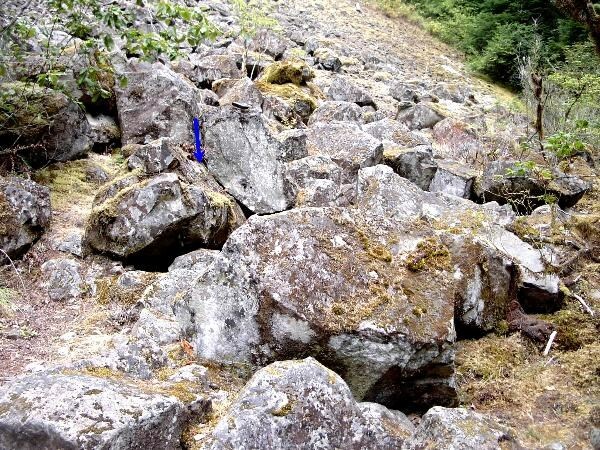 The cache is located near the Eagle Creek Trail in the Mount Hood National Forest. To reach it you will need to take exit #41 from Interstate Highway 84 and follow the signs to the parking lots. The day pass can be purchased at least two of the parking lots. Driving to the furthest parking lot will put you at the trailhead. It will be a 3.5 mile hike to the cache with a slow but steady climb. 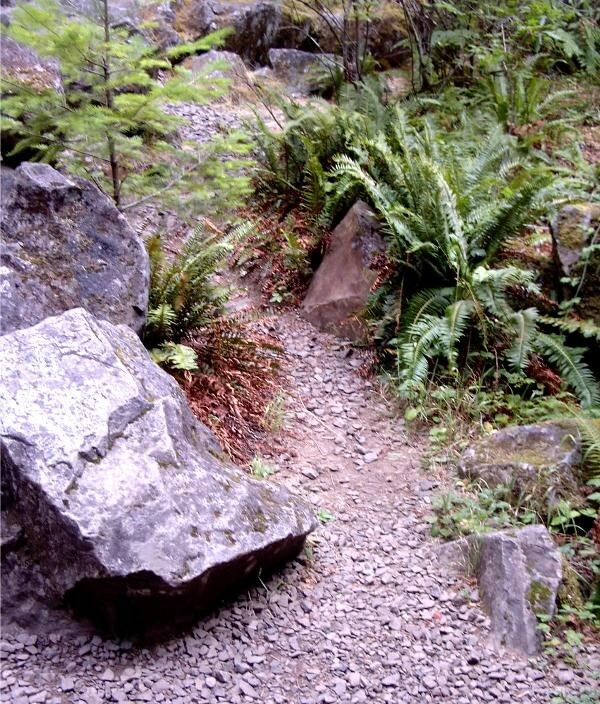 The trail is narrow in spots and has a sheer drop-off on one side at some locations. This trail is not suitable for young children. You will pass near the subscriber-only cache GCH13E during your hike.The cache is located about 55 feet off the main trail just before the third metal framed bridge. GPS signals can be spotty so you will want to have the clue and the pictures. Please make sure you return the cache to the same place you found it. Haqre ynetr ubevmbagny ebpx, arkg gb ynetr iregvpny ebpx, orgjrra gjb gerrf nobhg 17 cnprf hc n fznyy genvy ba gur rnfg fvqr bs gur znva genvy. Gurer vf na rireterra gerr qverpgyl hcuvyy sebz gur pnpur. 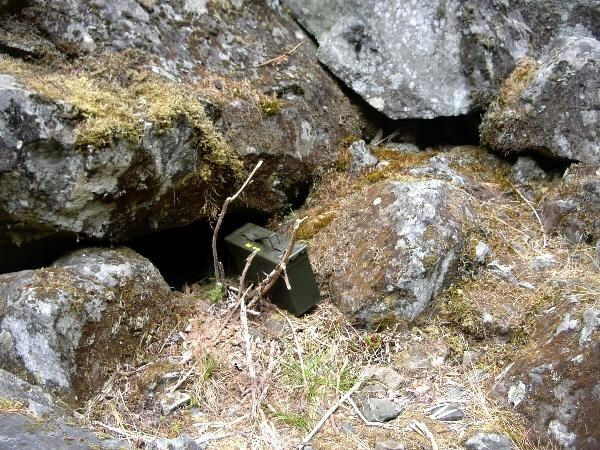 The cache in front of it's hiding place.